Perfect for home, work, hiking and camping. Lighting a room during a power outage or flooding a disaster area with light for emergency teams... Fire Supply Depot is your light source! When disaster strikes, it could be days or weeks before power is restored. While flashlights and candles are a great short term solution, you need an affordable and reliable light source until the power is back up. 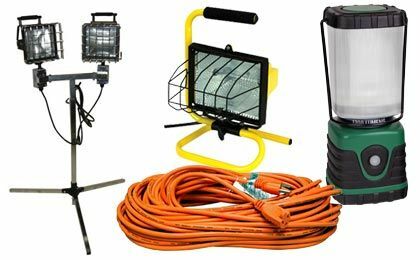 From solar and battery powered spotlights to LED and traditional lanterns, here is where you'll find the light source you need.